Starting your own business is always a fascinating thing. It’s the start of something new. However, starting a business is not as easy as it seems. It’s a complicated process and requires a lot of hard work and multiple proposals. If you want your small business to expand and be profitable, you have to be serious about the preparation process. 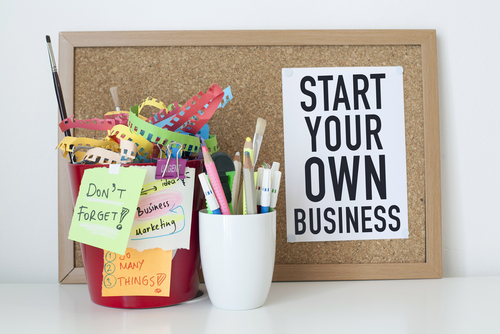 Here’s a list of what to prepare when starting your own business. If you have a plan to start a business, then you should start saving. You can’t start a business without a substantial amount of capital, no matter how small the company is. Don’t take out a loan, if not necessary, as this will become an extra burden for you just in case your business doesn’t succeed. Having enough cash on hand will help you not only with startup capital but also with the additional running costs that you will incur before you start earning a profit. Save for needed equipment. Do not be afraid to buy used equipment, as you are still starting up anyway. As long as the equipment is in good condition and functioning well, you’re good to go. Spend only on the essentials. Now is not the time for you to buy your wants. Focus only on your needs. Deposit your savings on an account that will yield a reasonable amount of interest. Stay away from your credit card. Do not buy anything that you cannot pay in cash. Make Sure Your Product Solves People’s Problem. Study and do your research. Having existing competitors sometimes can be a good thing. It means that the type of product that you are trying to sell is currently in demand. Go ahead and sell it! Your product solves a common problem if it sells. If it doesn’t, then most likely your target customers do not need it. Work on Your Business Plan. Make sure your business plan is focused on the market that you wish to reach. Your business plan should also include a study on your competitor(s). Answer this: Does your business plan offer a solution to a problem? Be sure it does. Never make any claims as regards your product when you have no study or research to back it up. Your business plan should be achievable. Does my planned business follow regulations? How do I register my business and obtain permits, and what are the costs? What are the existing standards in labor laws? Can you give me a brief background on obligations and contracts? Set a Goal in Mind. Be sure your goals are achievable. Undertake a financial study so that your goals are backed up and realistic. Ask for advice from other people in business and even from your employees. Keep this question in mind: What should I consistently do to achieve these goals? Make sure you have the time and the resources to achieve these goals. Study and Understand Your Market Well. Know what your market is looking for and study how to penetrate your market effectively and efficiently. If you’re choosing the wrong target market for your product, your sales will most likely have plodding progress. Your marketing strategy should focus on your chosen niche as well. Study the spending habits and trends of your market, so you’ll know when to bring out that big SALE. Know what customers suit your product best. Study the basic demographics of the market that you wish to reach: age, gender, location. Research on the financial capacity of your predicted target market. Study how your competition is able to reach your target market. Refrain from jumping into business immediately without having the necessary business background. If you haven’t worked in the business industry, enroll yourself in basic seminars first (or read on blogs like this one that gives you tips on how to start – AND STAY – in the business industry). Many aspects come into play when you’re managing a business, and you don’t have a lot of employees yet to help you, especially in the beginning when you can’t afford their services. It’s best for you to know the basics in marketing, finance, sales, and human resource management. Your learning should never stop. You may be a small business owner for now, but one day, you may be managing several employees. Not only are you an owner, but you’re a manager as well. You have to know your strengths and weaknesses. Evaluate yourself. Know what you can and cannot do. Nobody is perfect, and no matter how hard you’ll study and prepare, there’ll always be that one thing you’re not good at doing. Hence, you have to engage the services of a clerk, an accountant, an engineer, or a lawyer. If you’re extremely busy, avoid from being a one-person show and start by employing a secretary to help you keep things organized. These people could be your first target market, as they are most likely to purchase your product first because you know each other. This group could also be your first marketing network to help spread the word of your business to their respective families and friends. Word of mouth is one of the simplest, most inexpensive, and most effective marketing strategies. If you have connections to business owners, they can give you the most honest advice and be your mentors – even before you launch your business to a more significant market. Some of the people you’ve established relationships with may also help you if a problem arises. Building connections are vital and helpful for a businessman like you who is still “testing the waters” in the industry. Now that you have all this in mind, remember your end goal. Do note that no matter how challenging it is to start a business, most business owners would still choose to do it all over again because of the rewards that they are able to reap. Don’t be afraid to start small. Take a look at your model entrepreneur and think: “Someday, I can be that person, too!” One day, you too will be your boss.